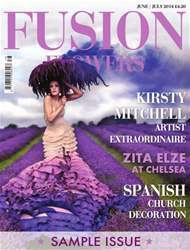 Issue 104 of Fusion Flowers magazine brings two more reports from RHS Chelsea Flower Show. They cover the floral art, floristry and some special 'finds' by our sub editor, Sue Phillips. Every two years Singapore holds the amazing Singapore Garden Festival and we have the inside story on not only the winners but what the judges are looking for - be prepared to be amazed. Austria's Timo Bolte shares how he managed to break into the world of mainstream magazines and reveals a Collection he created featuring traditional Austrian costumes. Following another of our highly popular 'fun' Facebook competitions, we share the latest ideas created under the heading of a Hydrangea Table Concept plus one of the winners reveals how he made his design and another shares how she used up leftover florets! 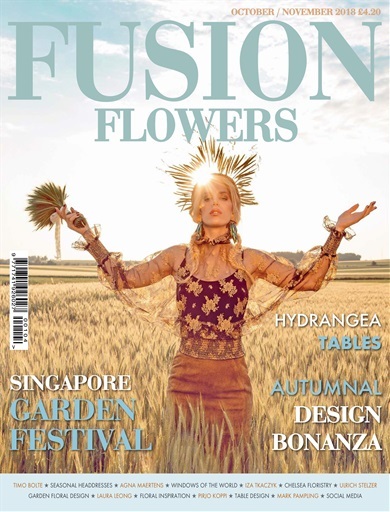 Find out what happened at the 2018 annual Fusion Flowers magazine International Summer School. Plus we have lots of tutorials to inspire we continue our series of ideas created using garden flowers, foliage and berries by Ulrich Stelzer!